The Bank of New Zealand looks set for a major shake-up on the back of a departure by one of its top executives. 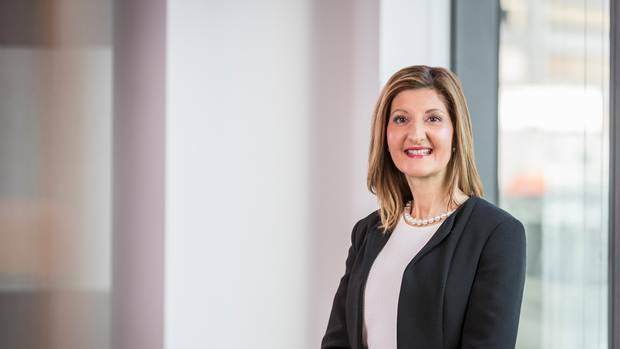 There has been a significant change in the leadership team at the BNZ since new chief executive Angela Mentis took on the top job at the start of last year. Photo/Supplied. Shelley Ruha, who has been with the bank for 29 years and is currently the head of its flagship partners division is to leave the bank at the end of February. There is speculation that the bank will merge its partners or business banking division with its retail division in the wake of her departure. A BNZ spokesman said it was Ruha’s decision to leave and the company had announced her resignation to staff earlier this month. He wouldn’t confirm any details of plans. There are concerns the change could result in a major restructure with resulting staff losses. BNZ’s parent company National Australia Bank has already committed to a plan to shed thousands of staff. In November 2017 chief executive Andrew Thorburn announced it would cut 6000 jobs over three years and hire 2000 people who specialise in technology. Before the cuts were announced the bank had more than 33,000 employees. BNZ employed 4655 full-time equivalent staff as of September 30, 2018 down from 4732. There has already been significant change at the senior executive level since Angela Mentis took over the reins as chief executive at the start of last year. Its director of products and technology David Bullock and director of customer fulfilment services Martin Gaskell left the bank in July. While former BNZ director of transformation and enterprise performance Richard Griffiths and director of strategy and planning David Maloney left in April. In November Mentis promised to make no changes to its 153 branch network over the next year.